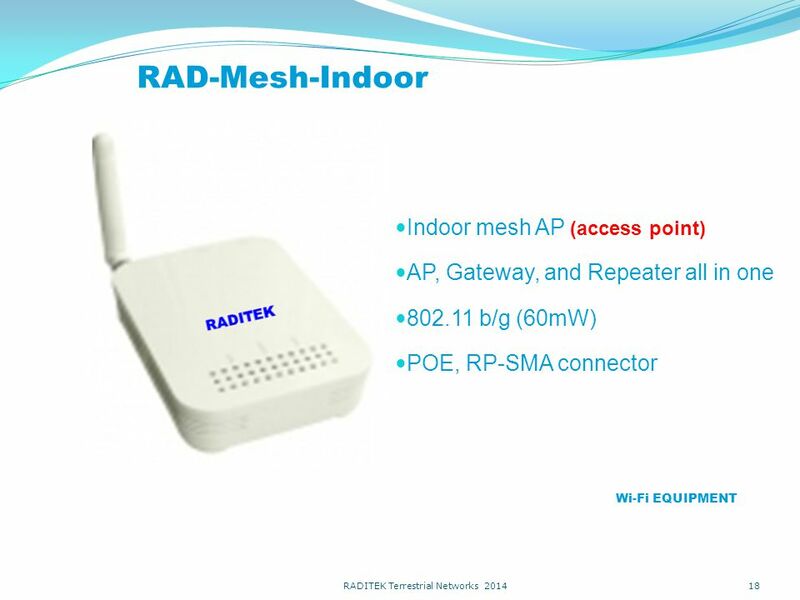 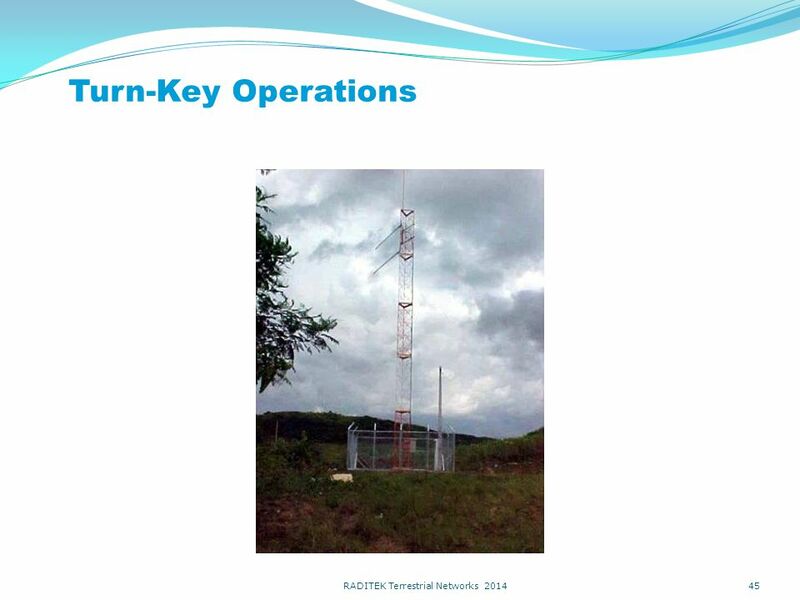 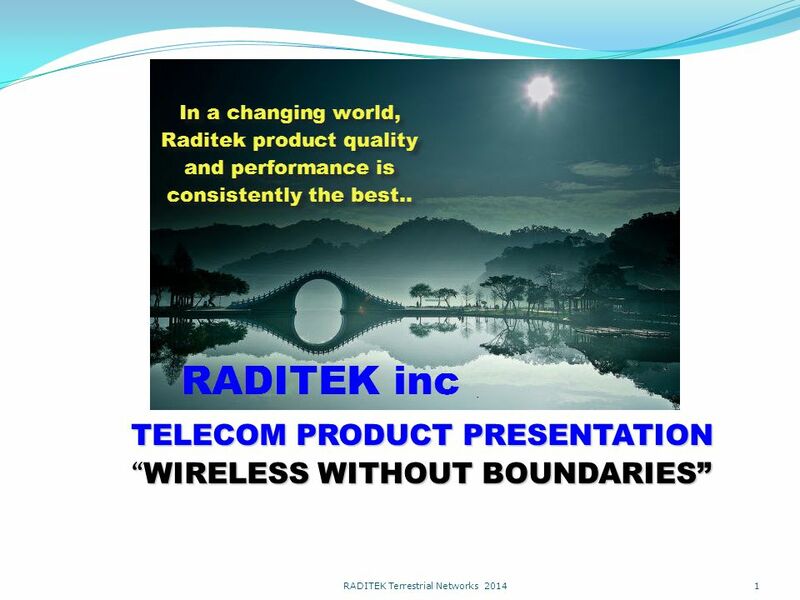 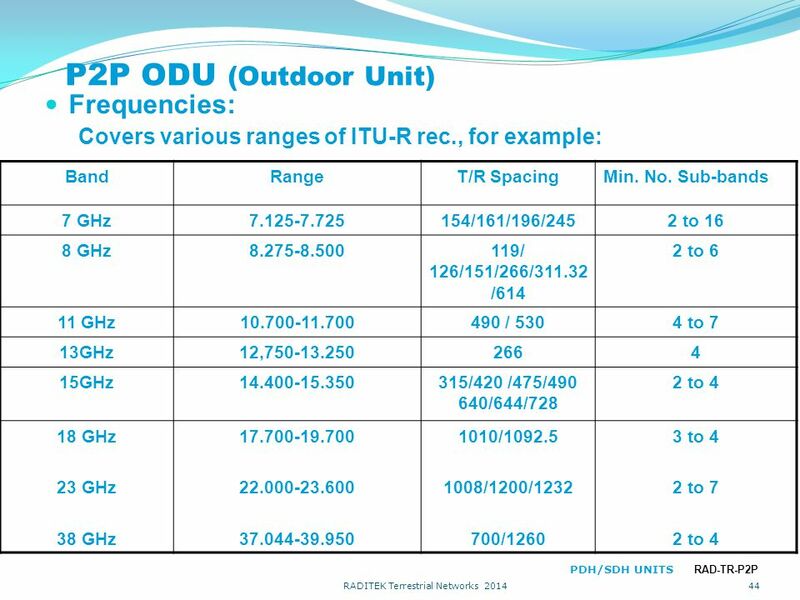 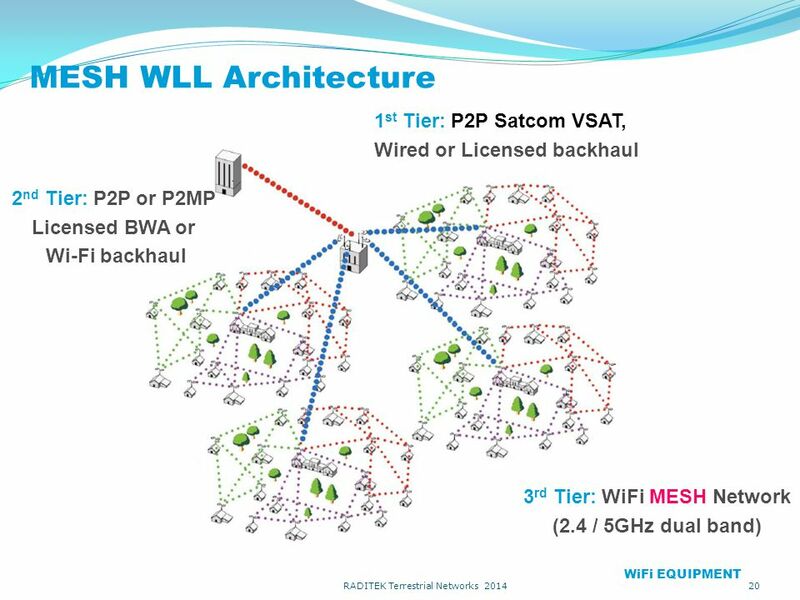 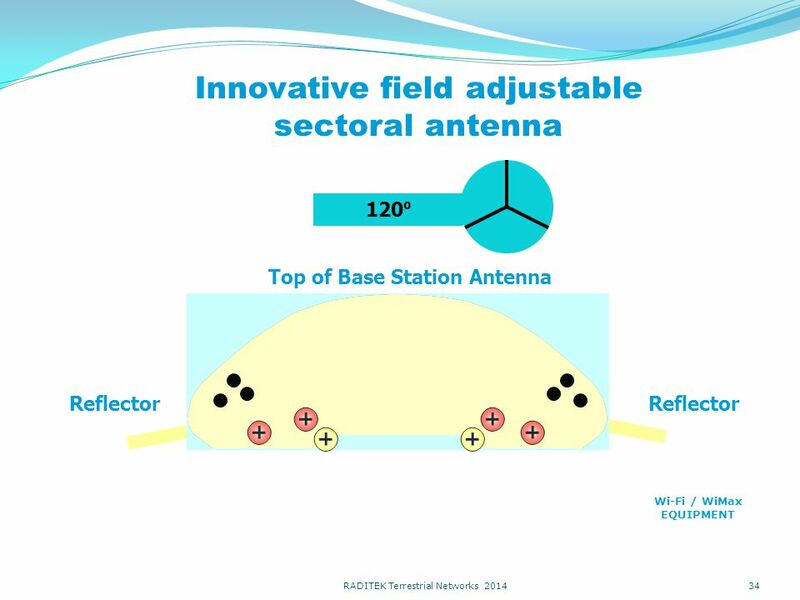 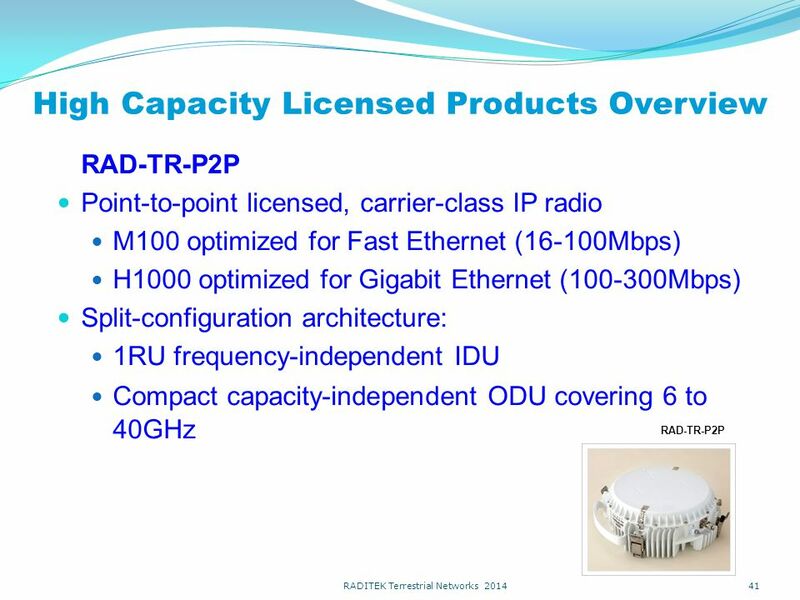 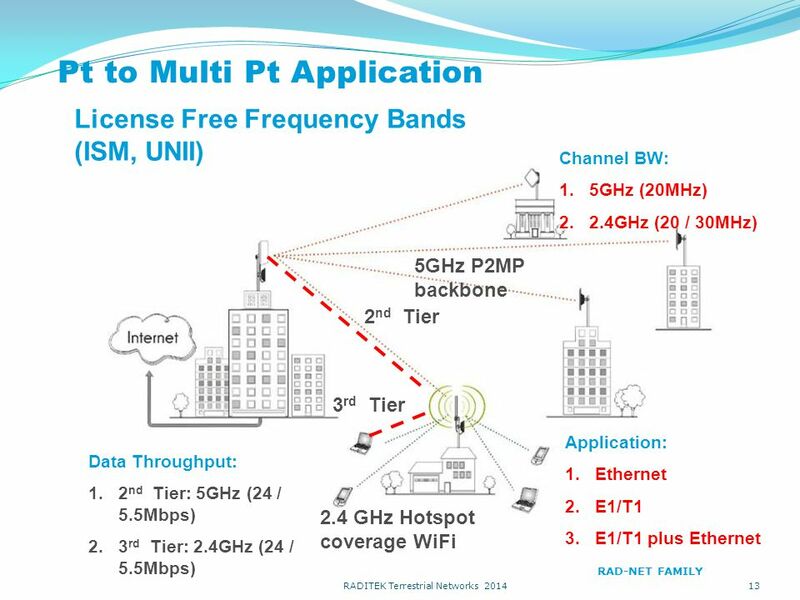 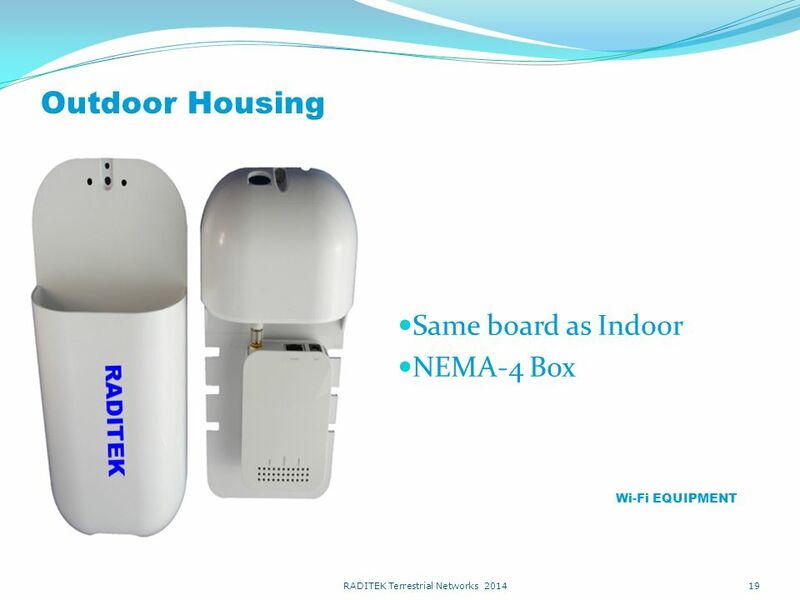 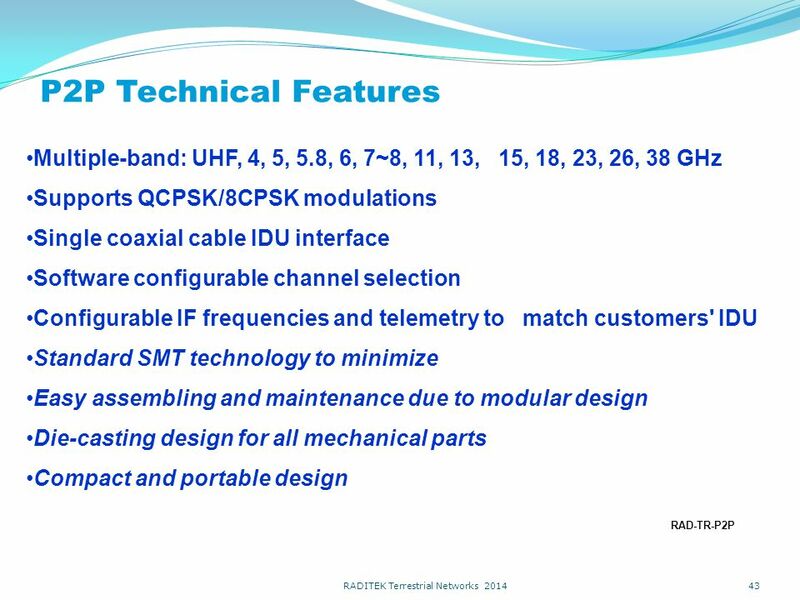 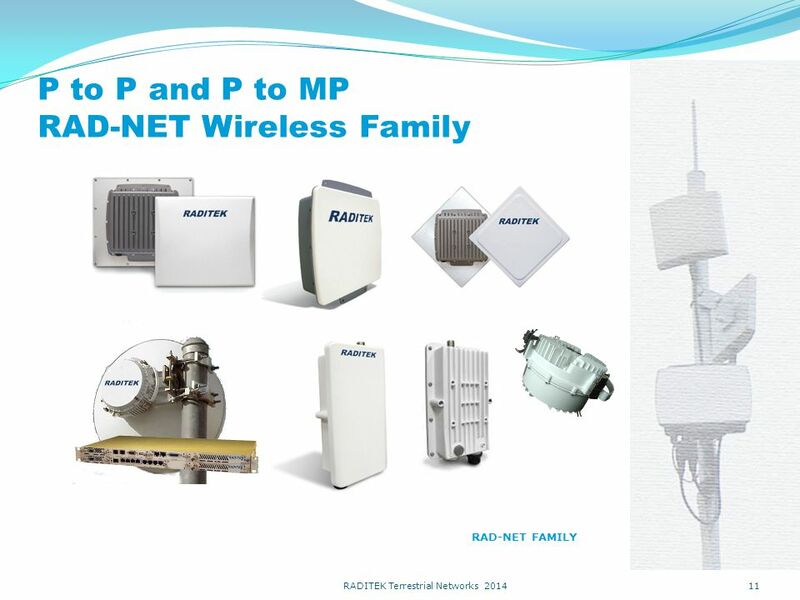 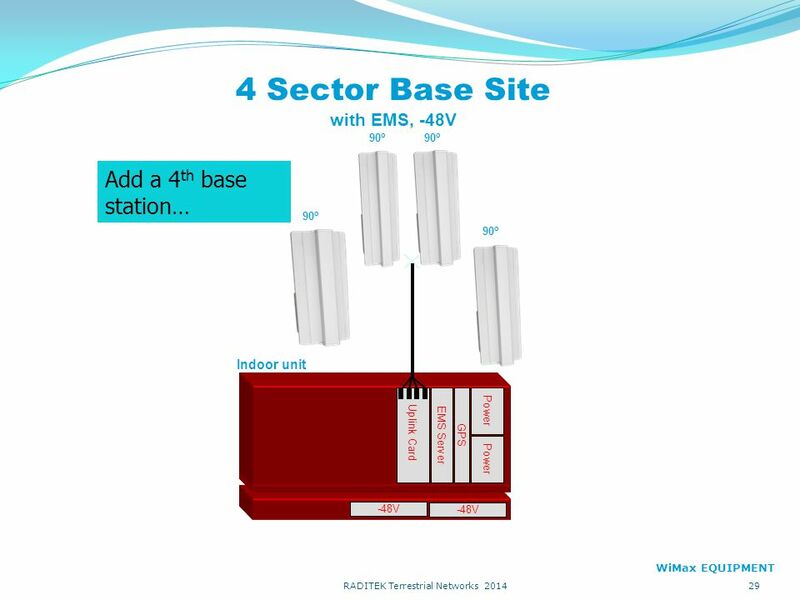 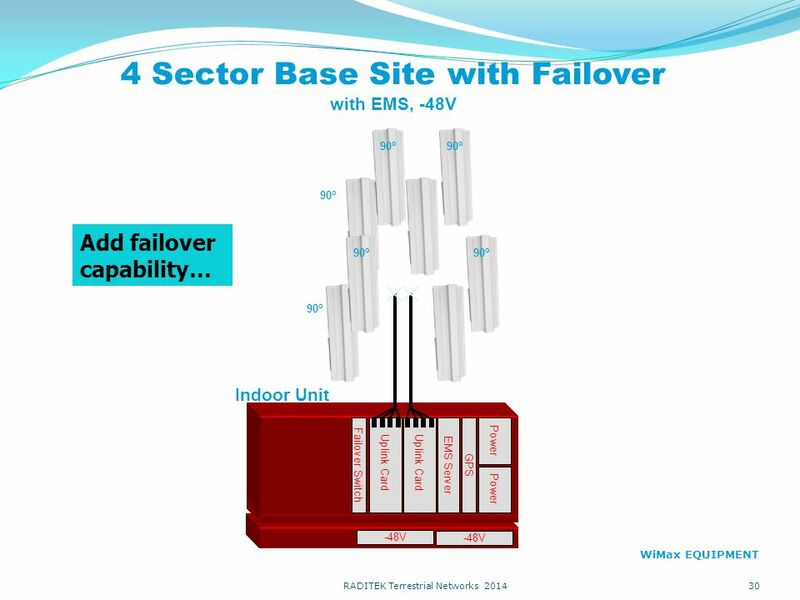 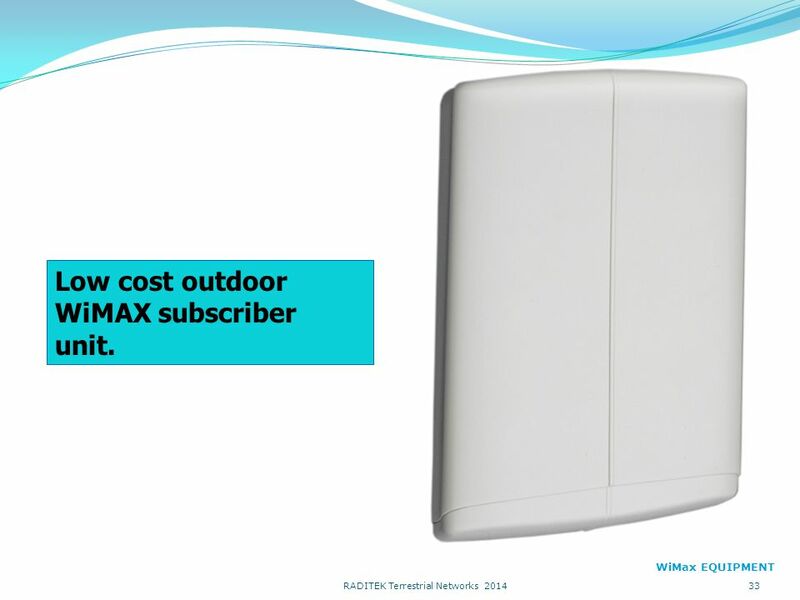 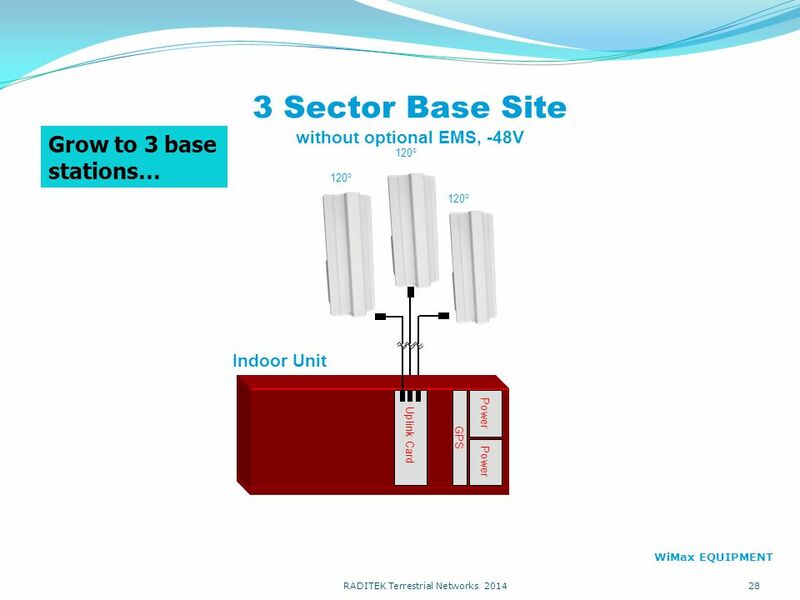 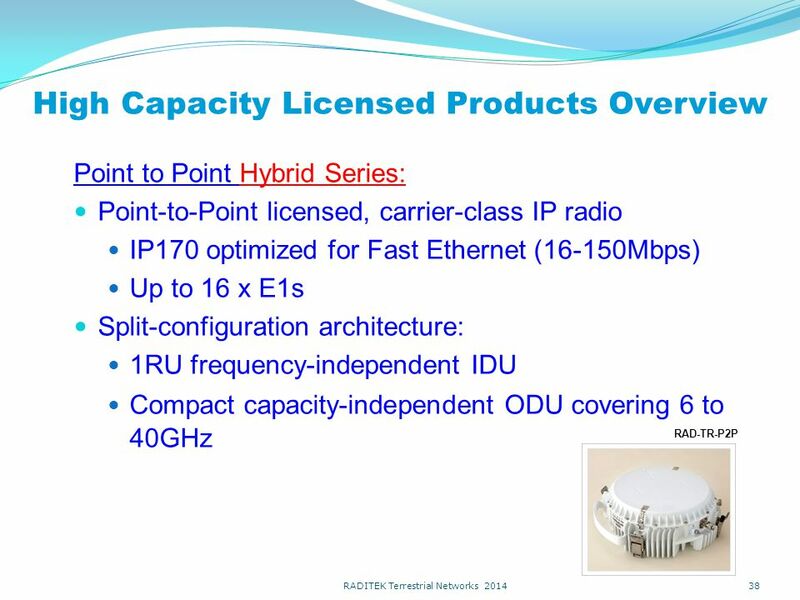 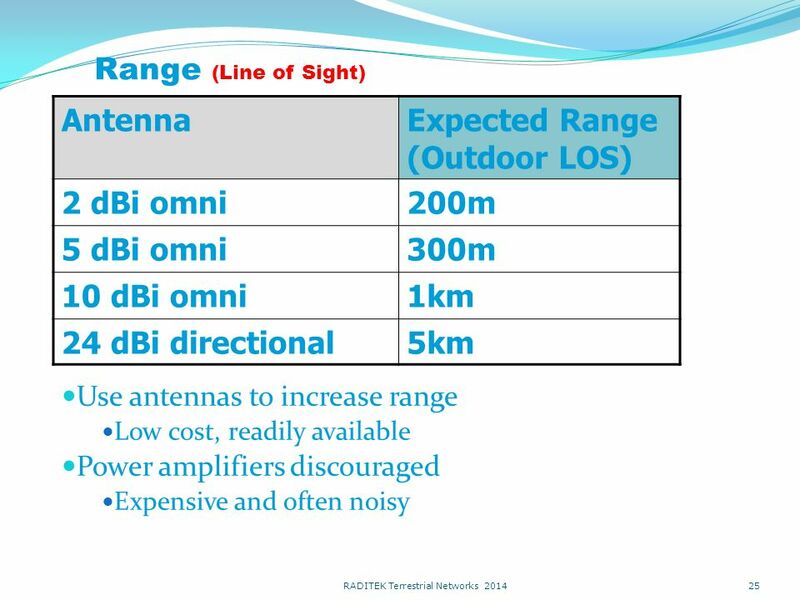 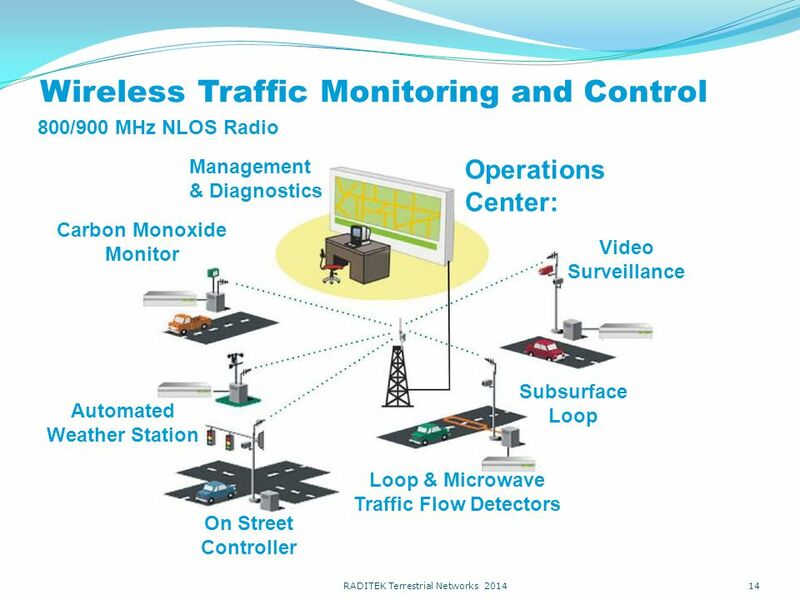 TELECOM PRODUCT PRESENTATION “WIRELESS WITHOUT BOUNDARIES” RADITEK Terrestrial Networks 2014 1. 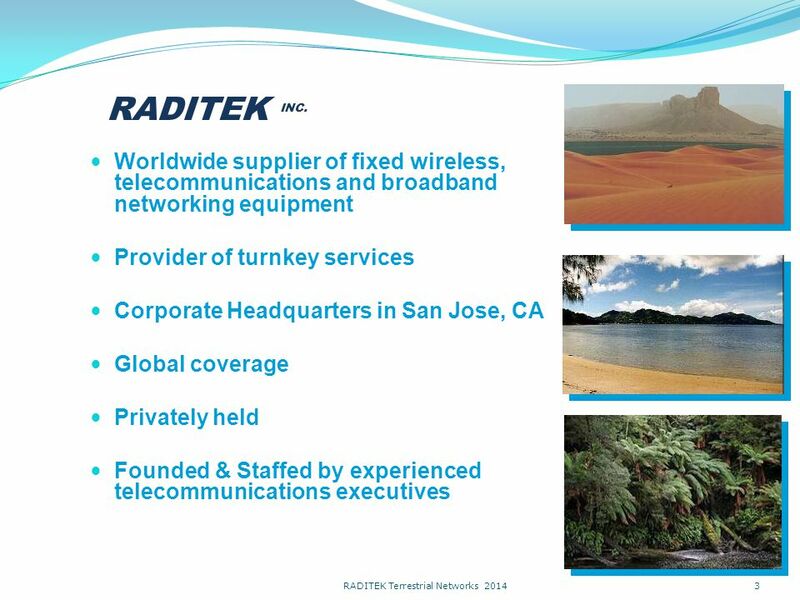 3 Worldwide supplier of fixed wireless, telecommunications and broadband networking equipment Provider of turnkey services Corporate Headquarters in San Jose, CA Global coverage Privately held Founded & Staffed by experienced telecommunications executives 3 RADITEK Terrestrial Networks 2014 RADITEK INC.
Download ppt "TELECOM PRODUCT PRESENTATION “WIRELESS WITHOUT BOUNDARIES” RADITEK Terrestrial Networks 2014 1." 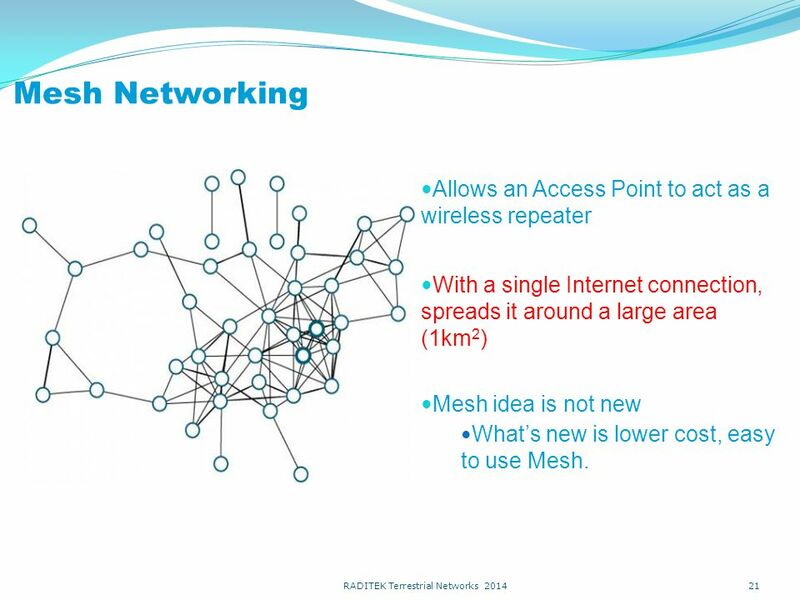 Development of Communication and Control (C 2 ) Subsystems AIF Research Forum, Fredericton, New Brunswick, May, 19, 2006 Julian Meng and Shane Barnes. Vikas Khanna V.P. 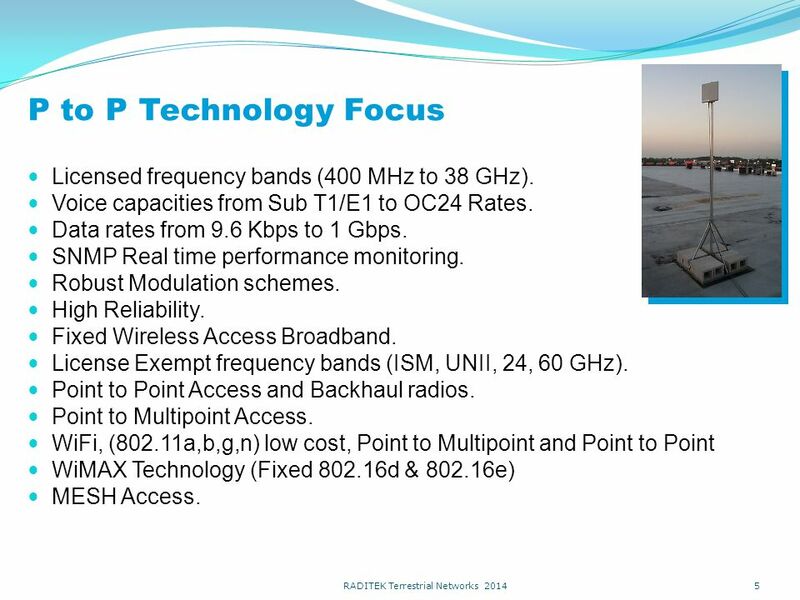 Broadband Technologies Covad Communications vikas[at]covad.com. 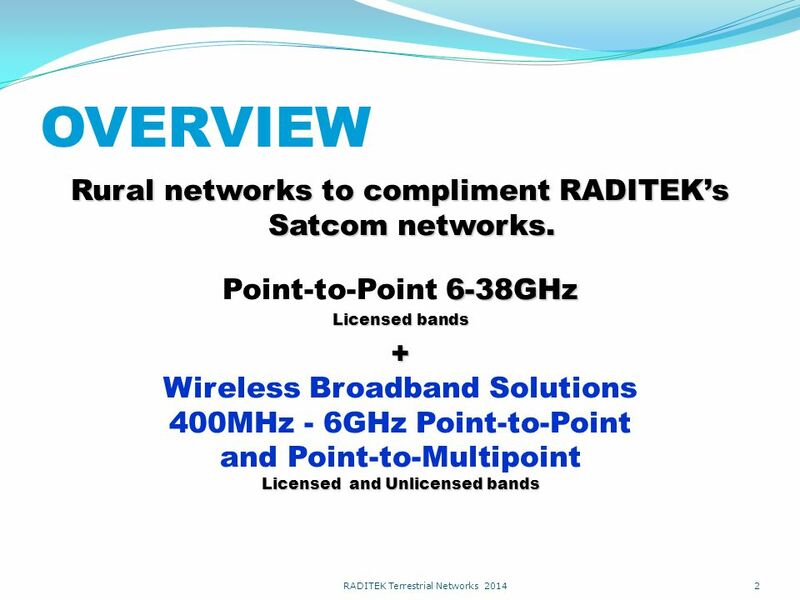 RADITEK SATCOM RADITEK 2014 SATCOM OVERVIEW PRESENTATION A California USA corporation. 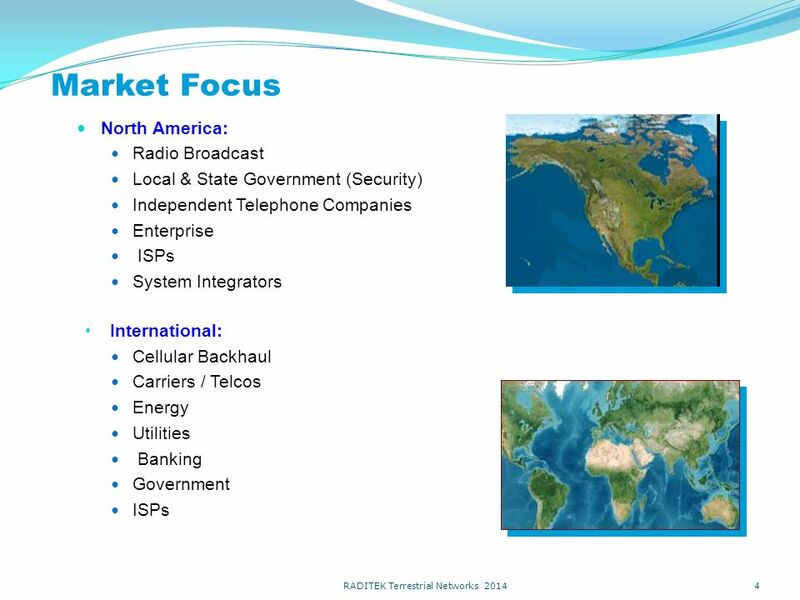 © 2005 InfoGLOBAL. 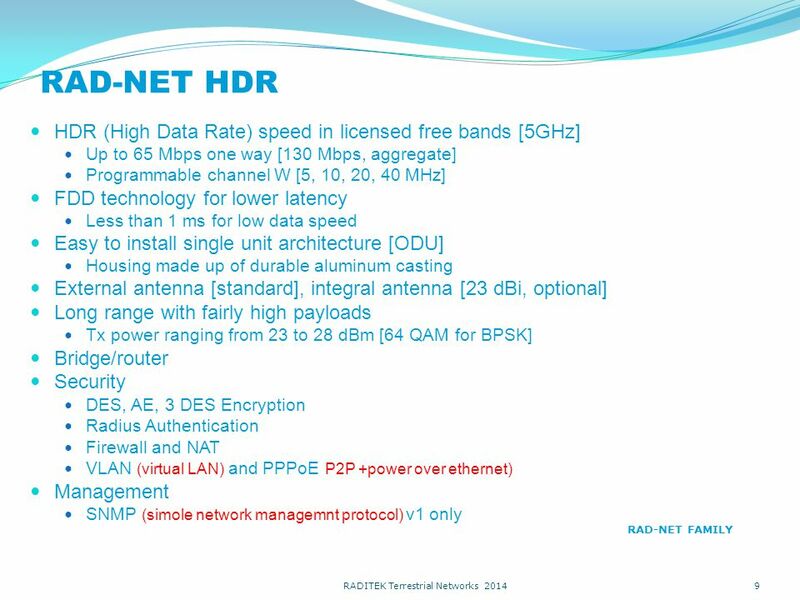 Documento confidencial. 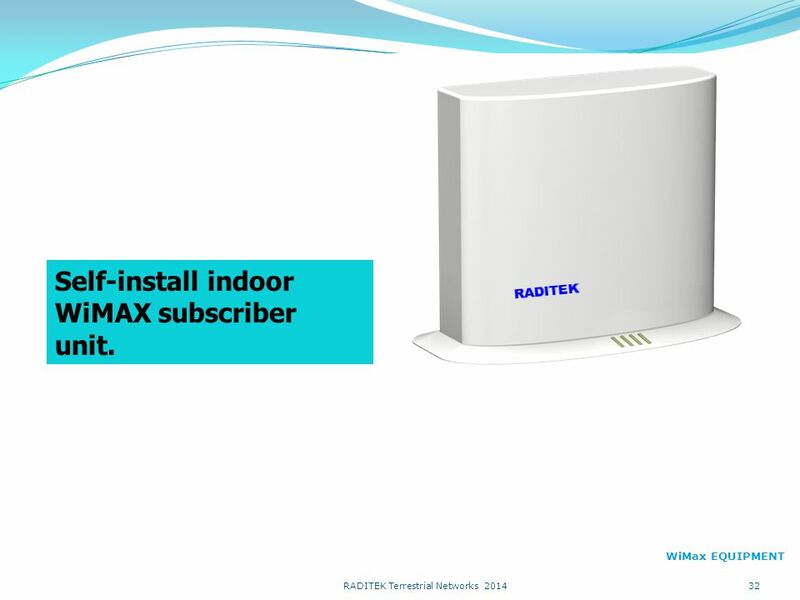 Prohibida su reproducción total o parcial. 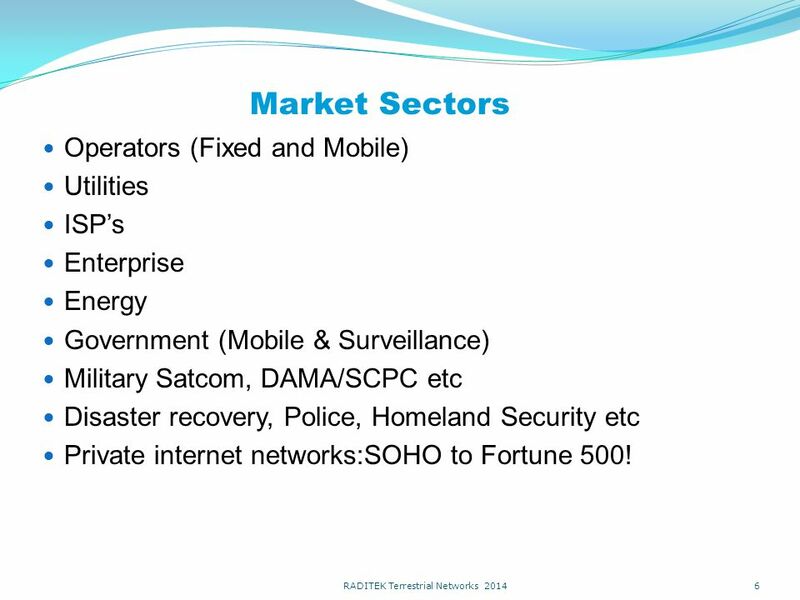 Confidential document. 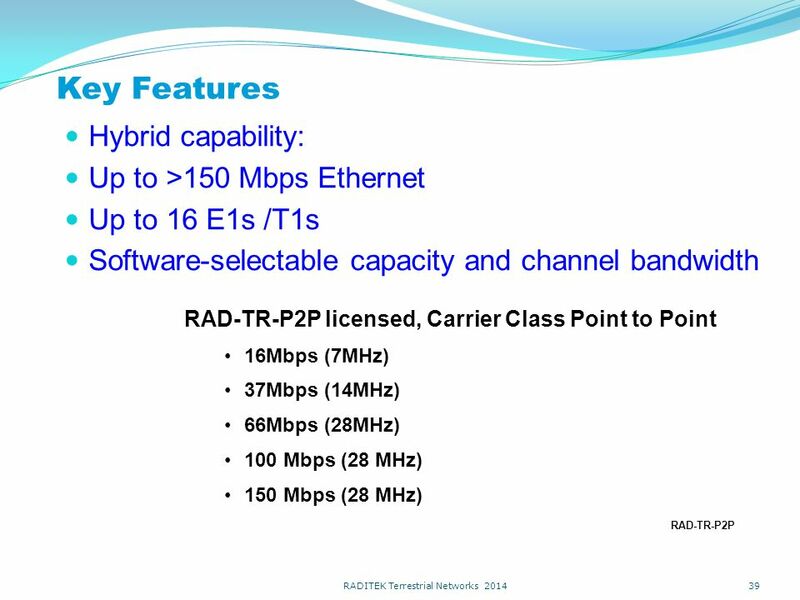 Total or partial reproduction forbidden BROADBAND. 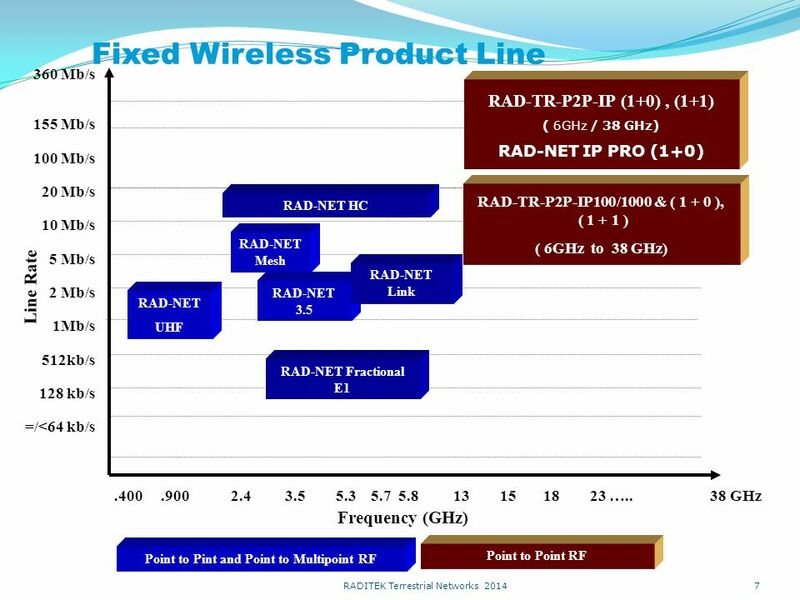 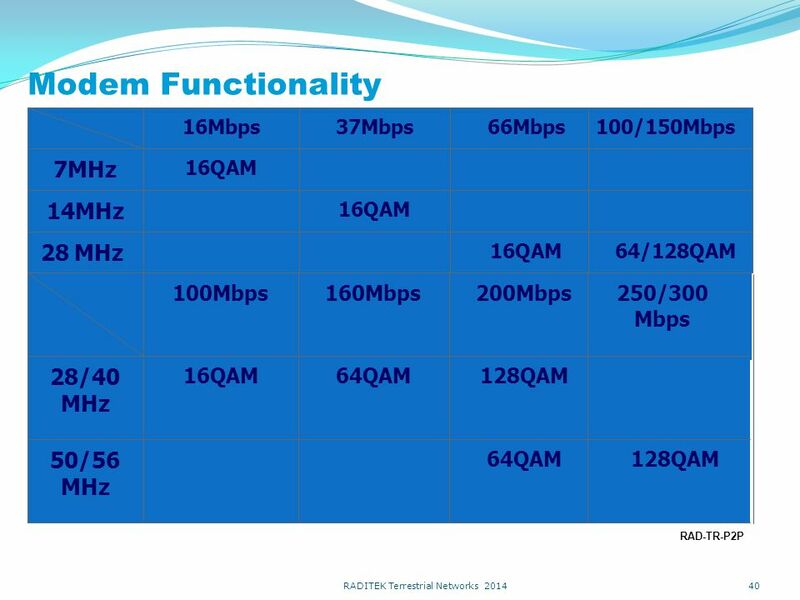 RADWIN 3.5/3.65GHz Product Portfolio January 2010. 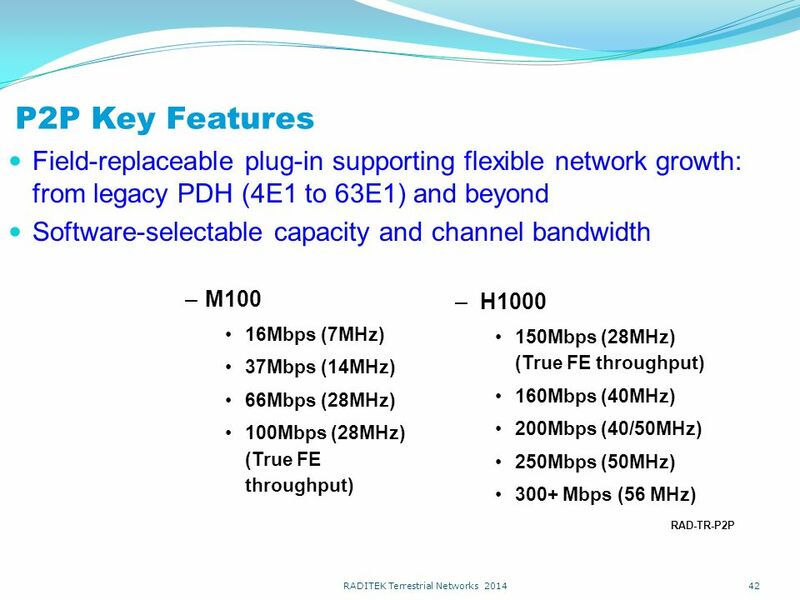 Airmux-400 General Availability Release Agenda Airmux Technology Target Markets Airmux-400 Product Portfolio What’s new in ver ? 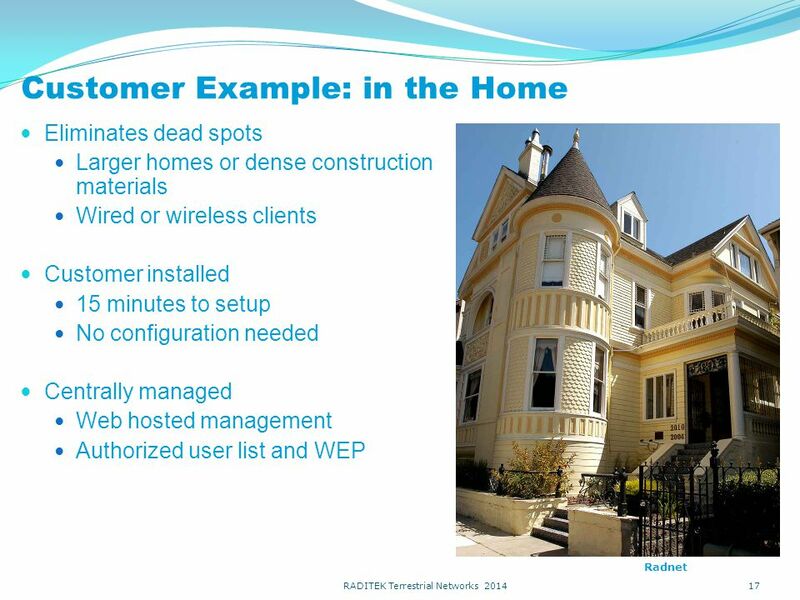 Case Studies. 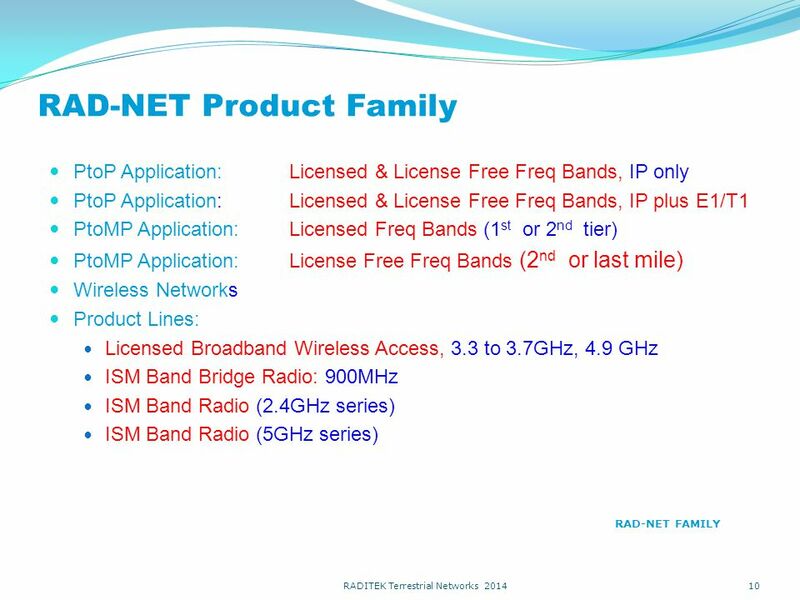 By, Shah Ankur Vasant. 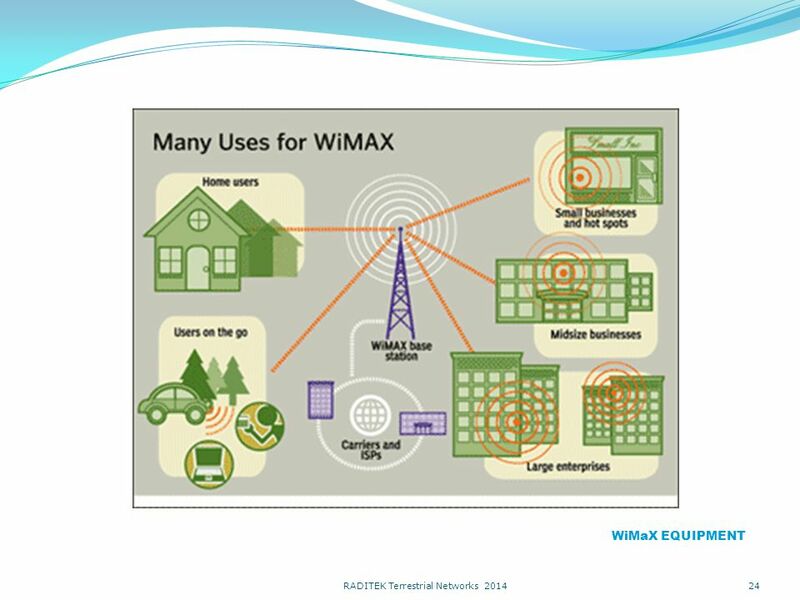 WIMAX stands for Worldwide Interoperability for Microwave Access The original IEEE standard (now called "Fixed WiMAX") was. 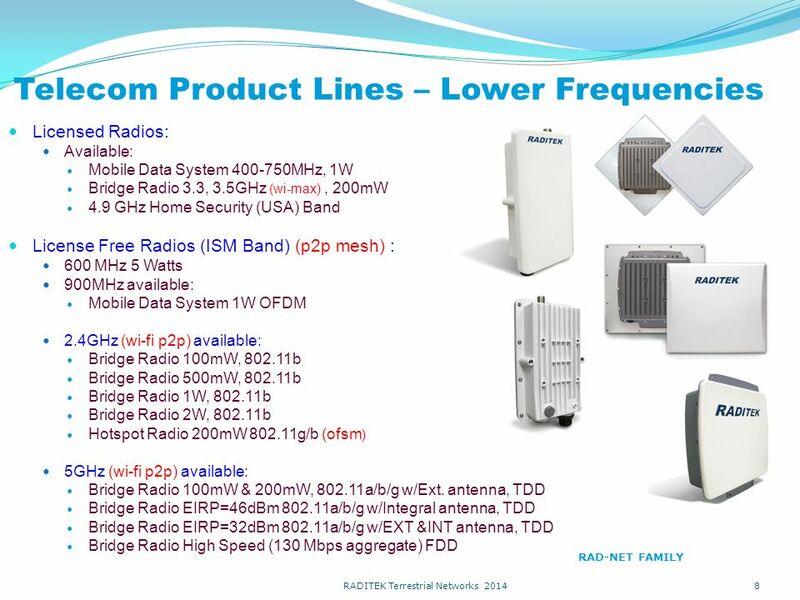 Wireless Modems Dan Tolley Director of Business Development ESTeem Wireless Modems Wireless Business Opportunities from the FCC Narrowband Mandate. 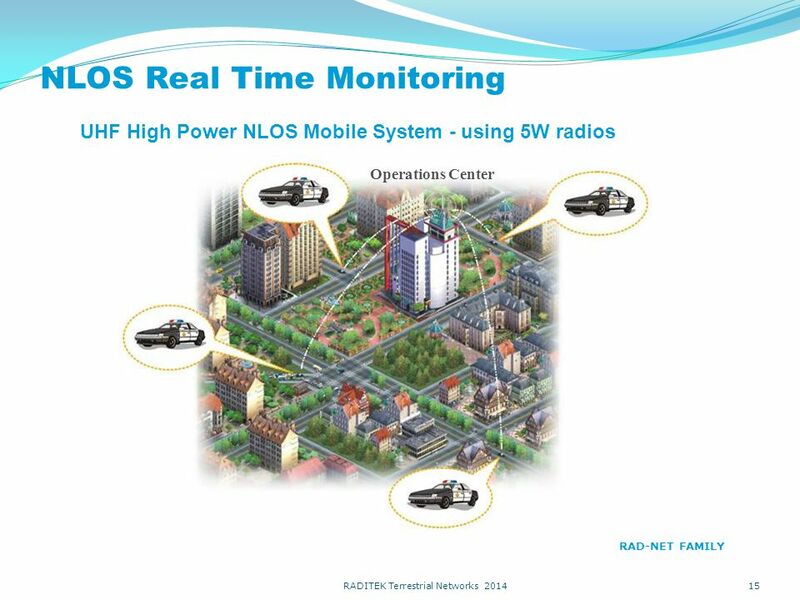 RAD ISM 01/2011 Slide 1 Wireless Mobility System. 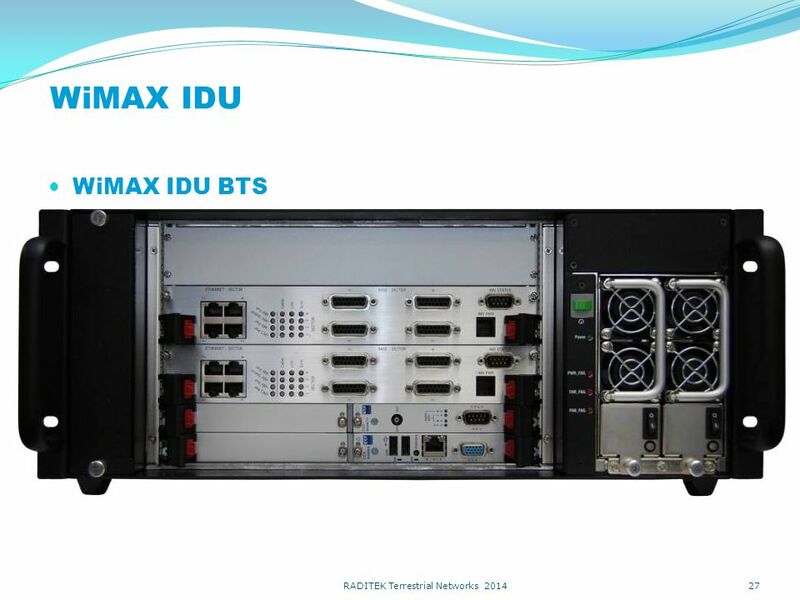 Stay ahead with RAD Training Presented by: Illy Sarid AIRMUX-400. 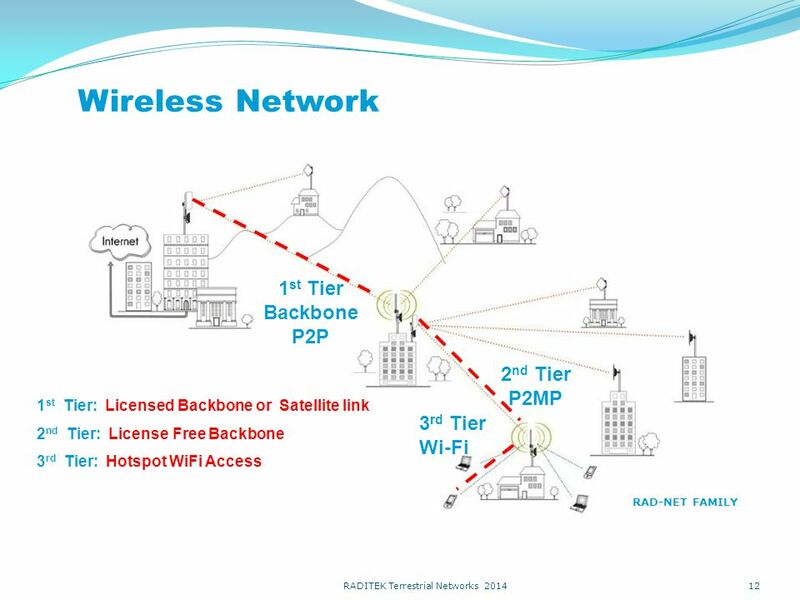 Enabling Deployments through Standards & Certification Margaret LaBrecque WiMAX President Margaret. 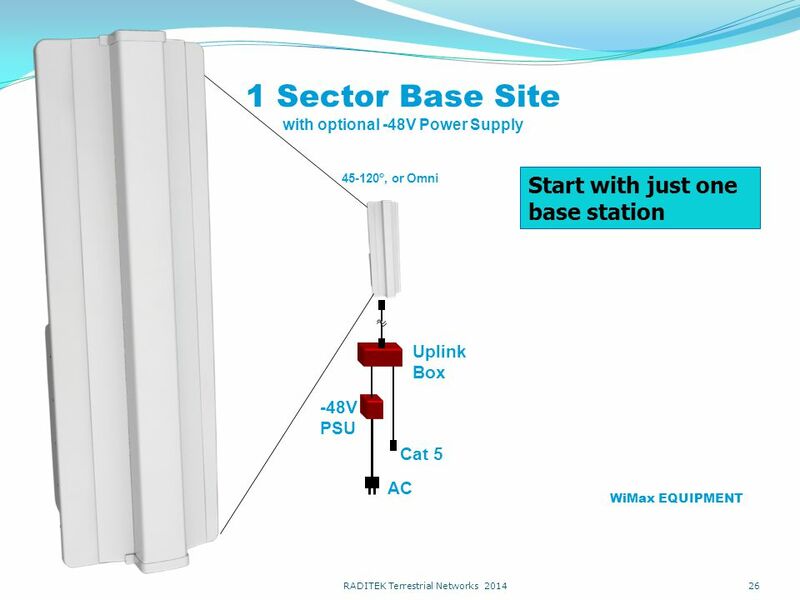 Airmux 400 Version Slide 2 Airmux-400 in Brief Airmux-400 is a point-to-point radio solution for combined Ethernet and TDM traffic. 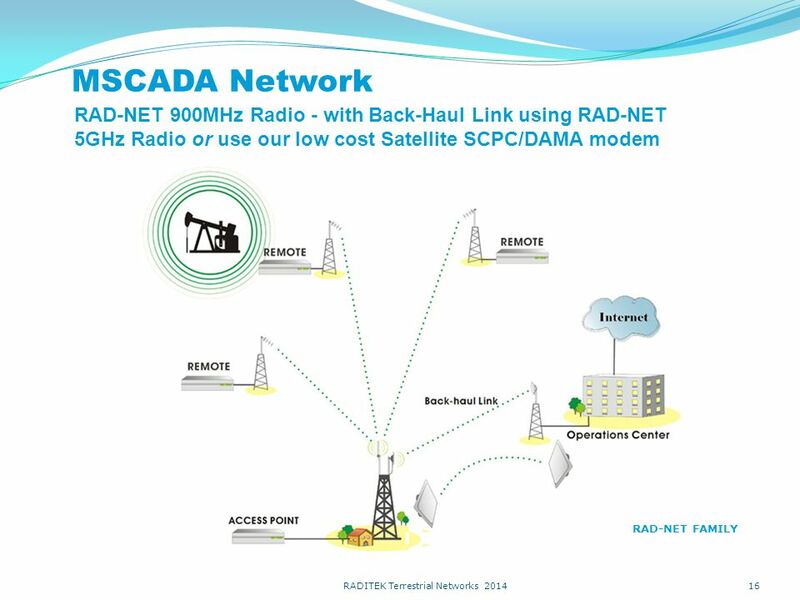 Optimizing SCADA Network Communications: An Overview of Metropolitan Wide SCADA Communications Options by John McCain and Russ Straayer. 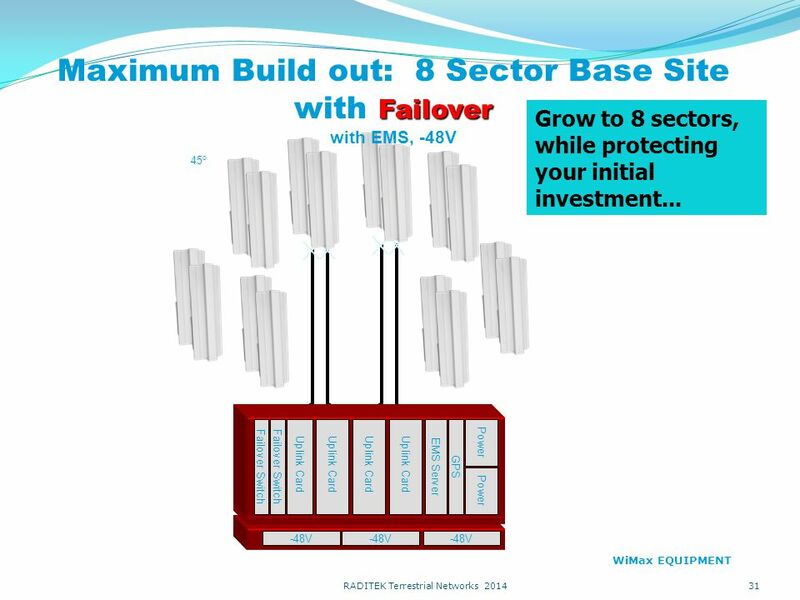 W I R E L E S SW I R E L E S S Broad Band Two-way VSAT Marketing Presentation. 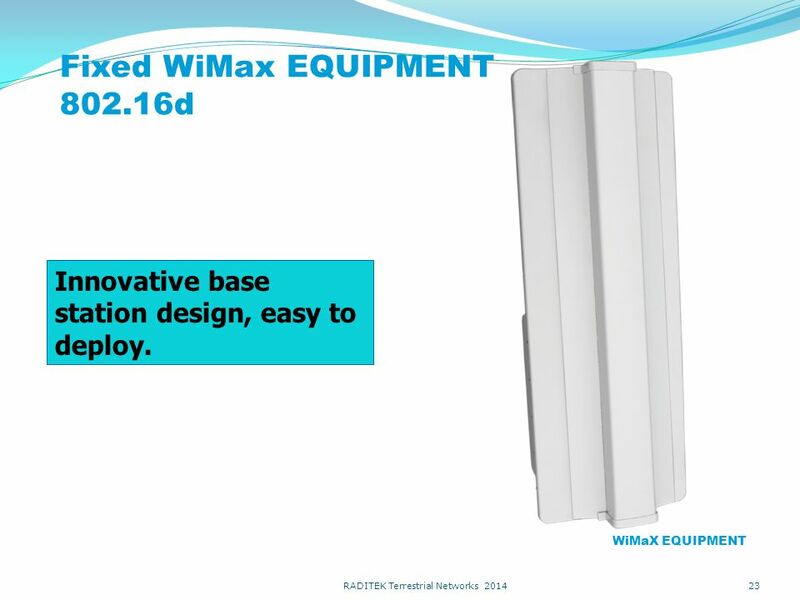 for WAN (WiMax). 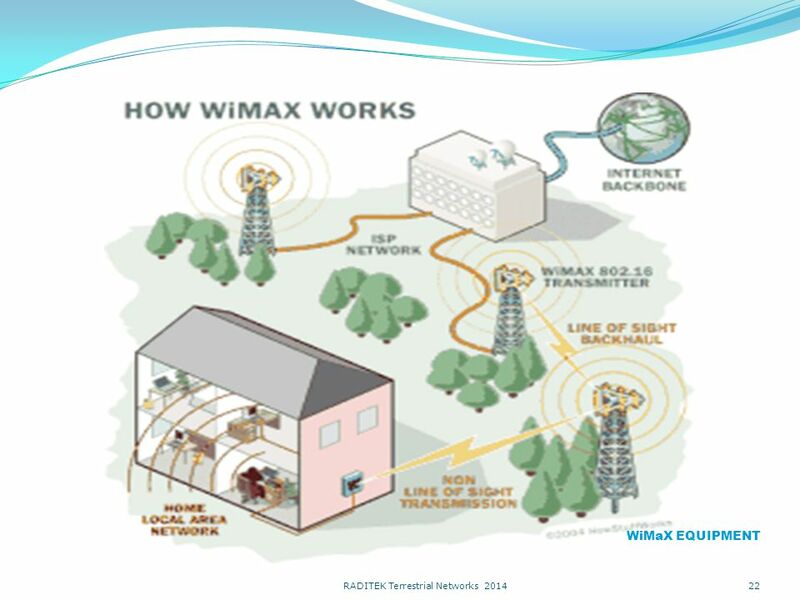 What is WiMax? 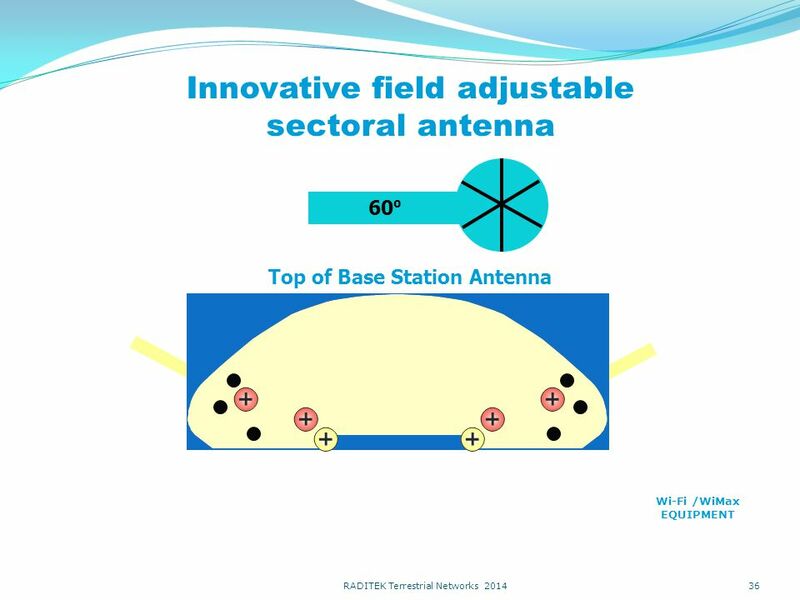 Acronym for Worldwide Interoperability for Microwave Access It’s the IEEE standard, first introduced in 2001, for.